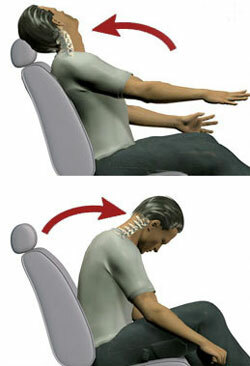 Whiplash is defined as an acceleration/deceleration injury to head and neck. Most often whiplash is associated with motor vehicle accidents although it can also occur from high speed sports or trauma such as a direct blow to the head and neck. Whiplash injuries can be mild or severe and are often felt after 24-72 hours following the accident or injury. Whiplash are graded by classifications called WAD (whiplash associated disorder) levels 1 to 4. Grades 1 and 2 are the most common. If you have any questions about Whiplash contact our staff at Dynamic Physiotherapy.